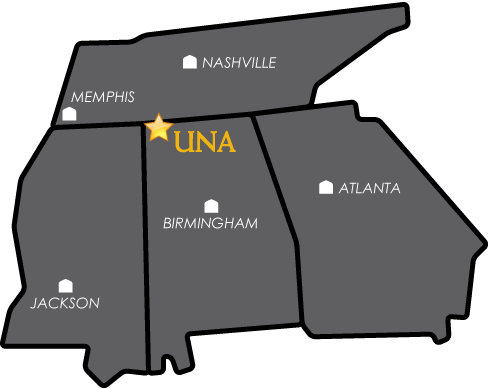 Students who have been awarded financial aid by UNA’s Office of Student Financial Services and have excess funds of $100 or greater after all tuition, fees, meals, and housing have been paid may charge up to $600 (or the available balance, whichever is less) of book purchases at the UNA bookstore. Bookstore charges will be placed on the student’s account and paid from the excess financial aid disbursement. Books may not be purchased using financial aid during summer terms. This service is for book pickup in person at the Follett Bookstore. Neither Follett Nor UNA mails books.